Hi, this is my home page. I'm one of the co-founders of Halsoft. I wanted it to be tomlang.com or some other variation of my name, but I procrastinated and by the time I tried to register those names someone had grabbed them all. Oh Well. Where did Halsoft come from? You can read about it here. Where did Halsoft come from? Back in the last century, before the dawn of the web, I went to work for a company called HaL Computer Systems. The founders were Andrew Heller and some guy whose name started with an "L", but who went away before the company got off the ground (I never met him and I'm not even sure of his name). Hence "H and L". The name was also a play on the name of the HAL computer in the 2001: A Space Odyssey movie. The HAL computer name itself was a play on the name IBM, each letter in HAL being one removed from the letters in IBM. This was fitting since Andrew was formerly an IBM vice president. Anyway, HaL was a hardware and chip design company with grand plans, including development of a lot of custom software. I worked in the software group (was a Director level manager in fact). We registered Internet domain names for the company. halsoft.com was registered for the software group. Since I was the one who filled out the forms my name ended up as the "owner." Later, Fujitsu purchased HaL, mainly to get the chip technology. They let the software people go and closed the Austin, TX location where we (the software team) worked. They weren't interested in the halsoft.com name. When the domain name came up for renewal, I got the email. For nostalgia's sake, I renewed the registration and kept it alive. At the turn of the century, when I was starting Virtual Places Chat I needed a domain name. Unfortunately, all variations of "vp chat" domain names were taken. Rather than come up with some contrived name I decided, what the heck, I've already got a domain name, I'll just use it. Later I was able to purchase the vpchat.com name, but by then halsoft.com was already incorporated so the name has stuck. I enjoy the challenge of making things work, then making them work better and faster. I have over 30 years experience in the computer industry, which consists mainly of hands on technical work interspersed with technical management. I have hands-on experience building and maintaining web sites that attract massive amounts of traffic (100+ million page views per day, 10's of millions of registered users, 100,000+ people online concurrently). I most recently worked for Gaia Online, implementing group chat and instant messaging services for this social networking and gaming site. Previously I worked for the Autos group at Yahoo, implementing services for getting price quotes on new cars and finding and buying used cars online. Prior to joining Yahoo I founded Halsoft.com, a subscription-based Internat chat service which is still in operation. Prior to Halsoft, I co-founded an ISP and held technical and management positions at Excite.com, Fujitsu, Dell, and IBM. Specialties: Internet and networking software, web pages and web services, chat and instant messaging, games, databases, and electronic commerce. The subscription-based chat service I built can be found at vpchat.com. I developed it in PHP. Some of the dynamic pages were built with Perl, which I was using before I learned PHP. The SQL database that supports the site is Sybase. When I worked at Yahoo I was in the Autos group, autos.yahoo.com. There is a team of people working on this site so I can't take credit for all of it, but two parts that I developed are the Get A Quote page (Select a car and click the button to see my part. Don't worry car dealers won't start calling unless you submit the next web page form :-) and used car listings displayed on a map. My main hobby is sailing and I have a boat on Lake Travis. As a volunteer, I've built and I maintain a website for the Austin Yacht Club. I've done some interesting mashups with Yahoo's YUI libraries, such as mapping the GPS coordinates of marker buoys and search for local businesses. "It was a pleasure having Tom on board with Gaia. Tom is technical and practical at the same time, possessing ability to knowing the technical challenges but will not stumble upon them and knowing the implications of every solution or work-around. Top qualities: Great Results , Personable , Expert." Derek Liu , founder and CTO of Gaia Online. "I had the good fortune of working with directly with Tom over the course of a few months at Gaia Online. He essentially had to provide a back-end solution that a variety of front-end products would use, and I was one of the front-end developers. I was always impressed with the breadth of Tom's knowledge across a wide variety of technical areas, as well as his depth of understanding of platforms specific to Gaia; I was suprised to learn that he had not been at Gaia much longer than I given how much of the infrastructure he grokked. But equally important--maybe moreso--was the responsibility and work ethic he displayed. He really owned whatever was assigned to him, and often stepped up and volunteered to take ownership of problems that needed addressing. He thought hard about how things should work best, and solicited and welcomed feedback from others; and he provided a good sounding board when others were working through problems. Furthermore, if something in his code or area broke, he never passed the buck, owned up to the mistake, and took care of it. Tom was also great about looking into issues or chasing down problems that affected everyone, and posting good tips and general advice for making our systems run better for all. Finally, he was just a pleasure to chat with and work beside. He has a good sense of humor and is a kind person. I would be happy to work with him again." 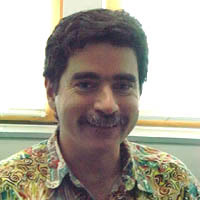 Mark Rubin, Software Engineer, Gaia Online. "I worked with Tom while providing QA support for the Autos team. Tom is an essential contributor to the team and is highly respected by the entire organization. I strongly recommend Tom for any position!" Sunil Joseph, Sr. Lead QA Engineer, Yahoo Inc.
"Tom can work magic in a hurry. With his wide array of technical skills, he can finish a varitey of tasks. Implement a web page, build a backend tool, process a data feed, communicate to a business partner, no problem. I am sure we haven't seen all the tricks he knows yet. I am very lucky to have opportunity to lead a few projects with Tom as a major contributor. I don't think the projects could be as successful if not for Tom's hard work and passion to get things done. Thanks Tom. Tom is also a fun coworker to be around with. You can't beat his jokes. He will try new things at least once. Highly recommended." Lawrence Lee, Technical Yahoo! , Yahoo! Inc.